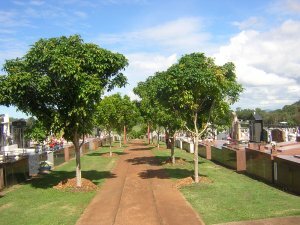 Nudgee cemetery and crematorium is owned by the Corporation of the Trustees of the Roman Catholic Archdiocese of Brisbane and is part of the considerable estates owned by the Catholic Church in the area. 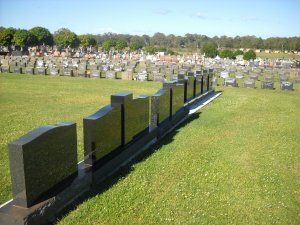 It is the only major private cemetery in Brisbane, but despite its ownership, it is open to the deceased of all denominations. 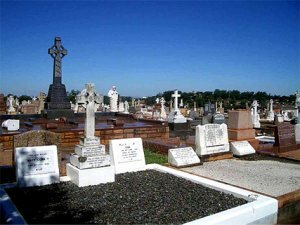 The first person to be buried in the cemetery was Bernard McHugh who was interred in 1867. The cemetery is divided into distinct sections. It has an area for the church religious orders: for example the Sisters of Mercy and the Christian Brothers, among others, have defined areas. Another large section is that set aside for above ground burials which are popular with some European cultures. NEW CREMATORIUM: In July 2014 the new crematorium was completed. The crematorium offers a variety of memorial options to compliment those already offered by the Cemetery. 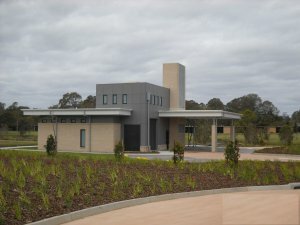 Appropriately, the first cremation at the new Crematorium was for Christian Brother, Br Graeme Frawley on the 25 July. Br Frawley has been interred in the columbarium wall in the Christian Brothers section of the cemetery with a fitting memorial. Information about the new Cremation Options is available on the Cremation Options page.